Situated in Dicomano (north-east of Florence) at 400 meters above sea level, their small farm stretches over 98 hectares with 16,5 planted with vineyards. lead. Their wines speak of purity, and the hospitality with which the wines are served is exemplary. Since 1998, the entire estate follows organic agricultural methods. Soil: Soil composition is a clay loam originated by the geological formation “Marne di Vicchio” (marne and clay marne). september. Grapes are gently crushed and put in concrete vats. from the top into concrete tanks and inoculated with its own wild yeasts for fermentation. After fermentation the wine remains in concrete on its thin lees until bottling. 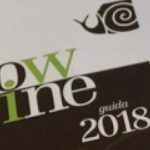 the Chianti Rufina 2015 wine has been awarded with Vino Slow by the Slow Wine guidebook 2018 . 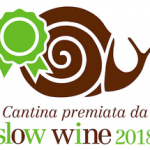 The estate of Frascole has been awarded with the Snail by the by the 2017 Slow Wine guide for their exceptional wines and adherence to the Slow Food philosophy. 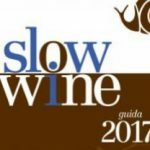 The estate of Frascole has been awarded with the Snail by the by the 2016 Slow Wine guide for their exceptional wines and adherence to the Slow Food philosophy.